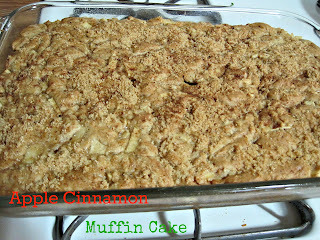 theFoodette & Family: Apple Cinnamon Muffin Cake...Again! Happy Blogiversary to me, chachacha! Happy Blogiversary to me, chahcacha! Today is my two year Blogiversary! What's funny is I didn't even remember until like halfway through my work day. It just randomly hit me.... "omg, it's April 10th!".... It's been a stressful week. I am going out for a sushi dinner tonight because, coincidentally April 10th is a special day for another reason... but that's a different blog post. So while I eat my weight in sashimi and seaweed salad, please enjoy this re-post of my delicious Apple Cinnamon Muffin Cake! It looks like cake, but it's full of fruit so it's sort of healthy, and it tastes like it should be a dessert! 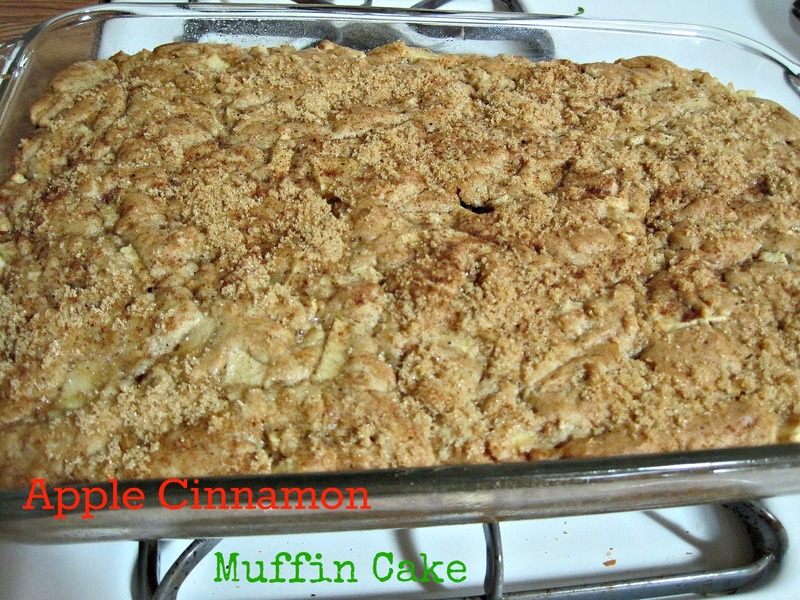 Have a slice for breakfast or a hunk-o-muffin cake for dessert, it's whatevs! 1 cup of oil- canola or veg. Brown sugar and nutmeg for sprinkling on top. Cream together in a medium bowl, sugar, eggs, oil, and vanilla. In another bowl combine flour, salt, baking soda, and cinnamon. 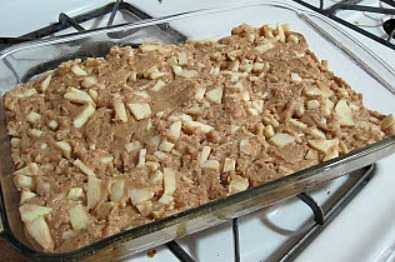 Combine wet and dry ingredients and then fold in the chopped apples. Batter will be very thick. Sprinkle the top of the batter with some brown sugar and nutmeg. Bake for aprx 25-20mins. Top should be golden brown and a knife should come out clean when inserted in the middle and removed. whoa, no kiddin' girlie! This looks AMAZING! Looks wonderful! Happy 2nd Anniversary! Hi, I'm Ana from Fooduel.com. We wanted to invite you to join us. Fooduel.com is a site in which users vote recipes. There is a ranking of the best recipes and a profile with your voted recipes and stats. 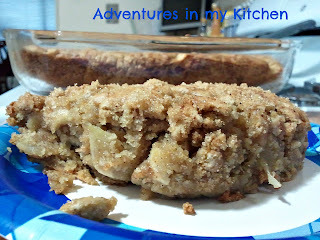 Each recipe has a link to the blog which belongs the recipe. This way you will get traffic to your blog. The best Photo recipes will be here. It's easy, fast and fun. Oh wow...I have no words! it's yummy!